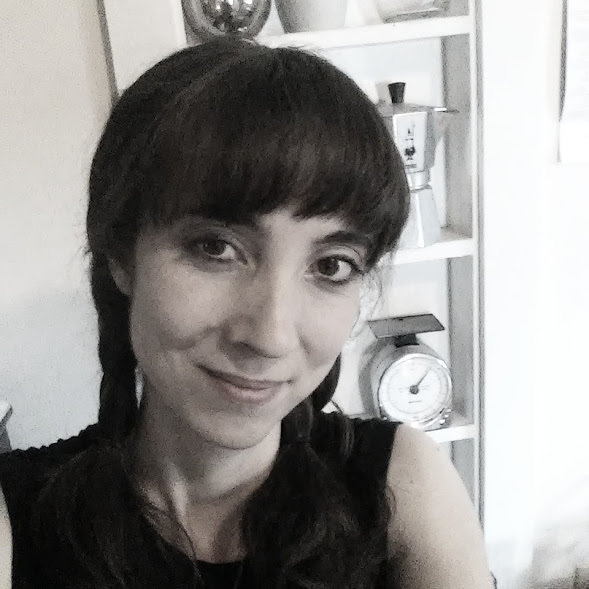 Christie is officially in Wales, so hopefully we'll be hearing from her soon! 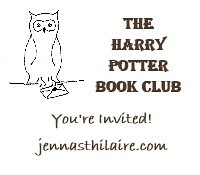 Meanwhile, Masha began our Lenten study of love in the first three Harry Potter books with a set of comments that wants some serious engaging. Here goes. Friendship is, I think, the love Rowling is least comfortable with..it is the weakest portrayed in the series, the most often portrayed, the least inspiring of all the loves shown in the series. I would make that argument for romance, not friendship. Apart from frequency of portrayal, every argument Masha makes here strikes me as highly defensible if we're talking about the romantic relationships—a point I believe firmly even though I shipped the canon pairs from the earliest books. But since we'll probably get to romantic love later on, I won't bother defending my position just yet. 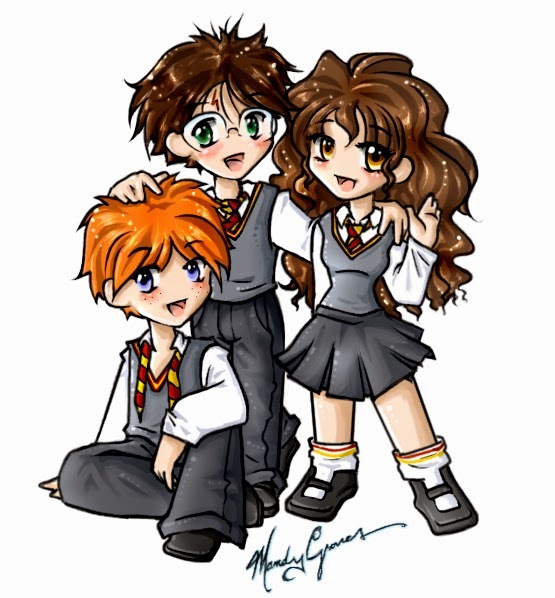 The primary friendship: Harry, Ron, and Hermione is a frustrating one for me. 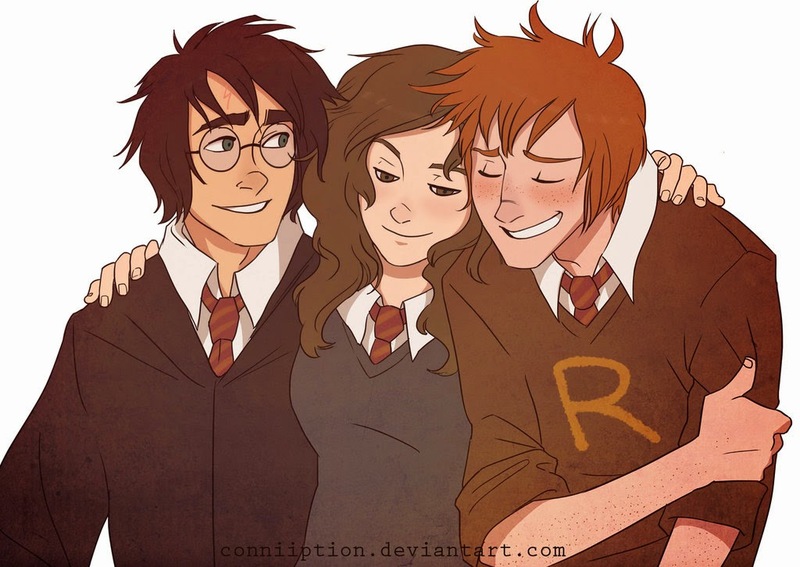 Harry and Ron are pretty consistently abandoning Hermione for all manner of petty reasons, Ron is - it seems, never really stops hating Harry for life in the limelight, and Harry has the sort of trust issues that can only come from an abusive childhood..but why do they never, ever go away - at least with his two closest friends? Reader experience is so personal that I can't argue with that. I can argue that Ron does eventually stop hating Harry for life in the limelight, but unfortunately my best proof requires a quote from the epilogue to Deathly Hallows, which is off limits right now. In these first three books, the Trio is very young, and when I was their age, I was a petty friend, too. I spent a year being angry with my best friend for turning thirteen nine months before I did. Said best friend also got a much earlier grip on maturity. When I think of the evening I spent sneaking up behind her and startling her, or the afternoon I kept flipping her off the inner tube in the pool after promising her again and again that I wouldn't... yeah. I'm lucky she didn't call me a jerk and find a nicer girl to hang out with. As for Harry never getting over his trust issues: Masha, can you give me an example of that? I'm not sure what you mean by that, so I'm not sure how to defend him. Because the trio aren't the only friends represented in the series, but they're probably the best shot at healthy, true friendships, and it's disappointing. 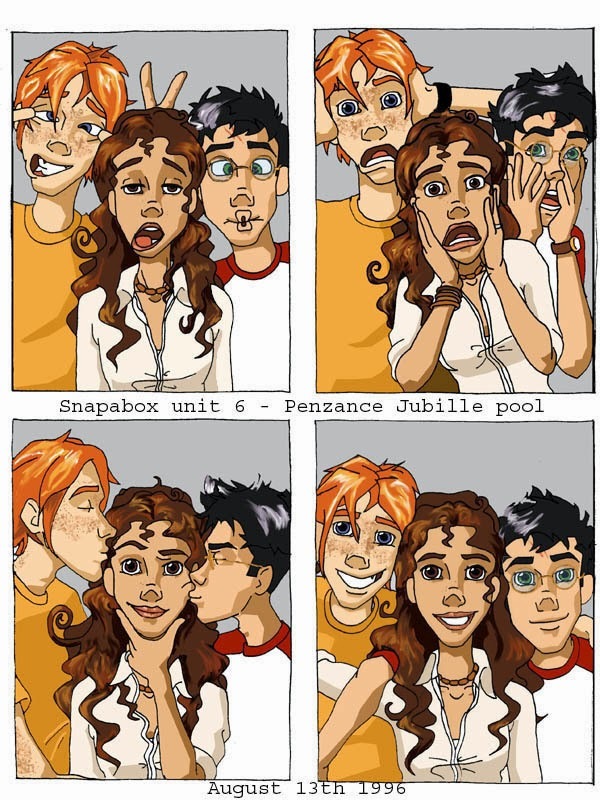 I'd give that "best shot" to the Marauders, actually, sans traitor. No disappointment necessary. 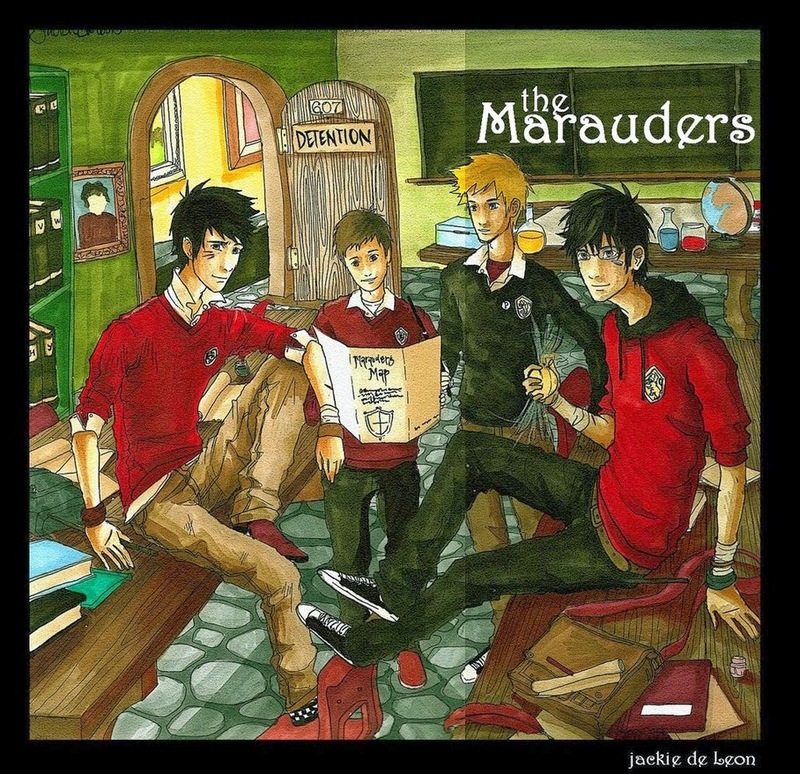 The Marauders—Moony, Wormtail, Padfoot, and Prongs—are introduced in this book, and despite certain notable personal failures, the three loyal ones were indeed loyal. The bond of love between them ran deep. Like, David and Jonathan, Frodo and Sam deep. 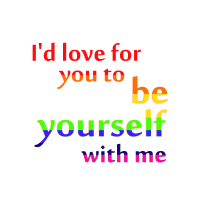 Deep enough to induce singer-songwriter-GarageBandmaster Zoe Bromelow to write all kinds of songs celebrating that love. Taking her band name from the dedication to Deathly Hallows, Ms. Bromelow is well known for her Marauder-era tunes. Her songs are pretty rough-cut, but she's just about unrivalled in wizard rock for her ability to pack emotion into a short lyric and a haunting little melody. She is absolutely my favorite wrocker, and here are two applicable songs, both of which I love. It's sloppy academic practice to use wizard rock songs as arguments, but I'm totally going to do it anyway. "Every Star in the Sky"
Spoilerific, but I couldn't resist. Art by ahshow. We'll get some pictures of the Marauders' love and loyalty at the end of this book: Moony embracing the long-lost Padfoot as a brother, and Prongs' love reaching forward one generation to save Padfoot's life and soul. So much simmering resentment. I look back at my own school-day friendships and I remember having friends like that: friends I liked (even loved), but didn't really trust, friends I knew would isolate me at the first mis-step..those weren't my closest friends. My dearest friends from school were the ones I trusted with my whole heart, the ones I know are still there for me, despite the miles, despite the spiritual distance, despite the paths we've taken that lead away from each other. There's still that core closeness..and maybe that closeness is there, somewhere deeply hidden in the trio. Buried behind back-biting, petty betrayals, and thoughtless cruelties, maybe there's the core of friendship. But if it's there, it seems like a sad, struggling thing - beset on all sides. Hermione is the constant in the Trio, the one who—despite bossiness and a taste for following the rules that goes mostly unshared by her best friends—is never, as far as I can recall offhand, disloyal. She bickers with Ron and is occasionally rude to him, usually after he does something particularly unkind to her, but she never gives either of them up for lost causes. Both boys need that loyalty. In Prisoner of Azkaban, Ron and Hermione don't speak to each other for weeks on account of Hermione's cat supposedly killing Ron's rat. Harry and Ron are both more heartless without Hermione, and it's her approach, trembling, with the important knowledge of a mutual friend's grief, that begins reconciliation. That act cracks Ron's pride. When Ron's pride cracks, Hermione's caves in, and Harry's might never have existed. All is forgiven. The Trio is beset on all sides, what with a serious lack of adult guidance and an evil wizard trying desperately to kill one of them off. They quarrel like siblings and sometimes have a real blowup between them, but there is always love there. It pulls them back together every time. Human love fails regularly. Rowling shows us that, but she also shows it growing, becoming more than itself, finding new ways around old breaches. 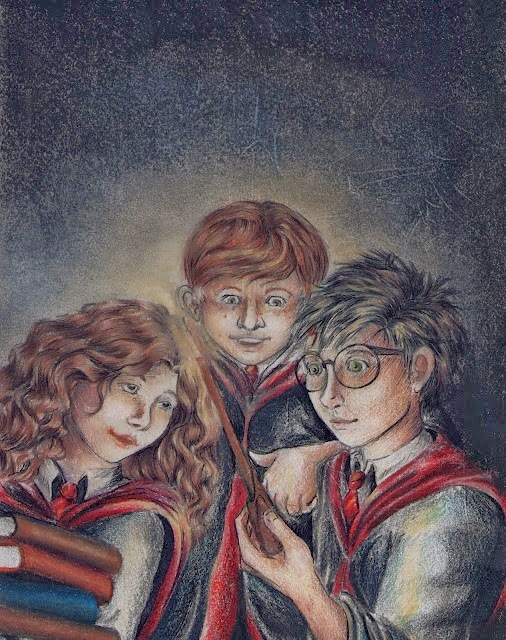 Some sort of conflict between the Trio plays a role in the overarching conflict in several of the books, if not all seven, but the friends always return to peace. What do you think, are her friendships true and beautiful? Are they Loving? I read Masha's piece the other day. But I find myself more in agreement with your perspective. It seems, ah, more charitable. George, why is it less charitable to hope for and expect more love between friends? I love people, I don't like to see their basic decency so short-changed. Hermione is the constant in the Trio, the one who—despite bossiness and a taste for following the rules that goes mostly unshared by her best friends—is never, as far as I can recall offhand, disloyal. You're dead on here..Hermione is constant and loyal and good. develop...? Ooh..how do we talk about this without spoiling everything..in five of the books there is some sort of friend-wounding fight, misunderstanding, or mistreatment. It's repeated over and over again. Best friends deliberately cut each other, retaliate, and isolate; then come together, get over it, repeat..except that the betrayals get bigger as the trio grow. So where's the development? They seemed more loving and loyal to each other in the early books. If that's the reason, then perhaps it's not less charitable then. Time for some honesty here. I've just always had the impression, well, that you dislike the books & while not being inaccurate necessarily about the things under discussion, are harsher or even less forgiving of the characters and/or Rowling's actions and intentions. That's probably a totally wrong view on my part, but it is what I feel when I read your commentary. Which is why I really have tried to avoid doing much commenting on these read-through posts. I shouldn't have even commented earlier, or to be fair, I should've explained more what I meant by that comment. It is my fault for not doing so, and I apologize. I do dislike the books..that's why I'm the 'un-fan' in the discussion. I enjoy them, but I don't like them..mostly because I have huge issues with Rowling's worldview as presented in the books. I don't think I read her more critically than I read most other books (excepting the very, very bad books - when I have absolutely no respect for the author's talent). I think Rowling is a good enough writer to deserve criticism, she's not so bad that she can just be given a patronizing smile and pat on the head. She deserves to be treated like an author, and a huge part of that is critical reading. Part of why I dislike her writing is that I think she sells herself short, it's easier to like an author with no talent than one that neglects her talent; and one of the major reasons I love discussing the books with Jenna and Christie is that they can explore the books, and defend Rowling's choices without feeling attacked themselves and without misunderstanding critical analysis for meanness. “Nothing touches a work of art so little as words of criticism: they always result in more or less fortunate misunderstandings. " Which is why I long to have conversations with those who love the books, nothing understands so well as love. But love convinces best when it has reasons. Tell me why Rowling's image of friendship inspires you, rather than just telling me my perspectives lack in love. I had forgotten you were the un-fan. It's been awhile since this read-through started. I also have done more in the past than simply accuse you of a lack of charity. It was on something awhile back now, but it was along the lines of "Since Rowling wrote something a certain way, that meant that was definitely her worldview." Anyway, I never said the friendship particularly inspires me. I don't know that it does per se. Nor do I think Rowling is immune from criticism. However, I think the way the dynamics of the Trio works in the story fits the narrative & structure of the books. In each book, Rowling is essentially restarting in several places. It's perhaps not the best way to do it, but I certainly don't see it as being a failing necessarily. Lots of books in series have a bit of a reset or regression from what happened in prior books. Plus, there's some truth to what John Granger outlines as the alchemical structure of the books & series, which almost necessitates such resets & thus repeated friction between the Trio. Could Rowling have written with a different structure and developed things differently? I suppose so, but that's not what she did. develop...? Ooh..how do we talk about this without spoiling everything..in five of the books there is some sort of friend-wounding fight, misunderstanding, or mistreatment. It's repeated over and over again. Maybe it's because some of my deepest relationships have proven themselves through a great rending... though saying that makes me think of Gilbert Blythe gently reminding Anne Shirley that the Stephen Irving/Lavender Lewis romance would have been more beautiful if it had never been broken, if that pair had simply come through life together. And considering how badly some of my deepest relationships have been damaged, I cannot but acknowledge the truth you and Gilbert are pointing out. Best friends deliberately cut each other, retaliate, and isolate; then come together, get over it, repeat..except that the betrayals get bigger as the trio grow. So where's the development? They seemed more loving and loyal to each other in the early books. Very interesting. I hadn't thought of it that way; I tend to read the first three books as children's books, and the last four as YA/adult, so I see the first three as more idealistic and the last four as more realistic. 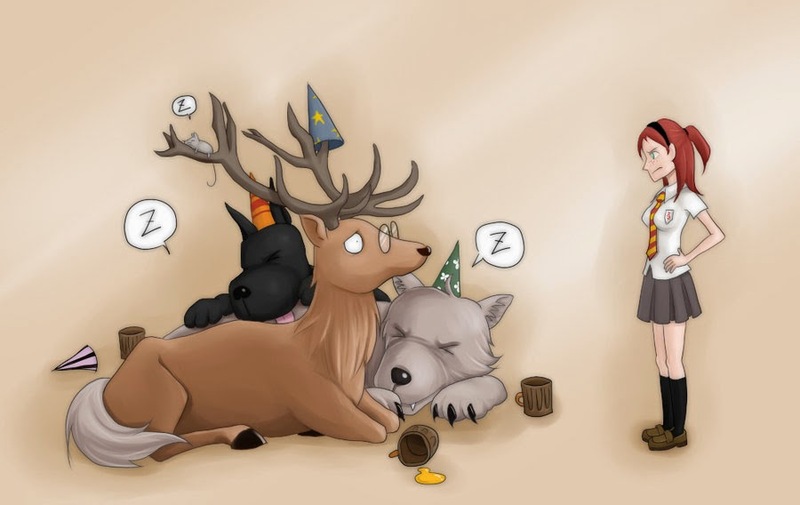 But this is the Hufflepuff talking--and I hate conflict with a driving passion, and would gladly never experience it. I love the ideal. I hold to the ideal--and then, when life and people (including myself) prove less than ideal, I take delight in finding that except in really extreme (say, dangerous) cases, it's usually possible to hang onto the people you love. Which is not to make even the slightest suggestion that you think otherwise, by the way. I'm just trying to express what's going through my head when I read those later books. That's part of it. Which is not to make even the slightest suggestion that you think otherwise, by the way. I'm just trying to express what's going through my head when I read those later books. haha..conflict,hmm...I don't hate it like you do, I love conflict about books and ideas, hate conflict about whether my shirts are too low or my skirts too long..then I get all defensive and mean (slytherin??). "makes me think of Gilbert Blythe gently reminding Anne Shirley that the Stephen Irving/Lavender Lewis romance would have been more beautiful if it had never been broken, if that pair had simply come through life together." Exactly..I love arguing with my friends, but not fighting..and I guess I see it as sort of an indication of how healthy the friendship is, or isn't..And broken relationships, while they can be repaired, have less to mourn than whole ones. I can't help but think with each new book (especially 4 and after) that there is no way I'd trust so quickly again without lots of work. Forgive, yes, but definitely re-adjust my expectations within the friendship. Argument, disagreement, annoyance, frustration..all normal and healthy. Fighting, shunning, lying..those are never healthy, and when they come up again and again and again...well..it becomes destructive. Except in the series it doesn't really, it's just normal and acceptable..which leads me to think there's something defective in Rowling's overall view of friendship, George, because someone with a healthier view of friendship would have written in more actual effects of the unhealthy behavior. "there's some truth to what John Granger outlines as the alchemical structure of the books & series, which almost necessitates such resets & thus repeated friction between the Trio. Could Rowling have written with a different structure and developed things differently? I suppose so, but that's not what she did." I think you're right, I do think she was working toward an alchemical structure and that it probably did require more fighting than was ideal for the characters..which for me is a huge failing..weakening characters and themes for the sake of an ideal structure is a huge frustration for me as I read the series..and - I'm guessing - a big part of the 'forced' feeling I got at certain key points [spoilers..unfortunately, but you know me, I'll tell you all about them in another book or two]..hmmm.. Spiritual level????????????? and in the ALL CAPS HARRY book????? Can we talk about this now, I'd really like to know what you mean by it! !